Four senators address Associated Student Government about new emergency legislation about undocumented immigrants. 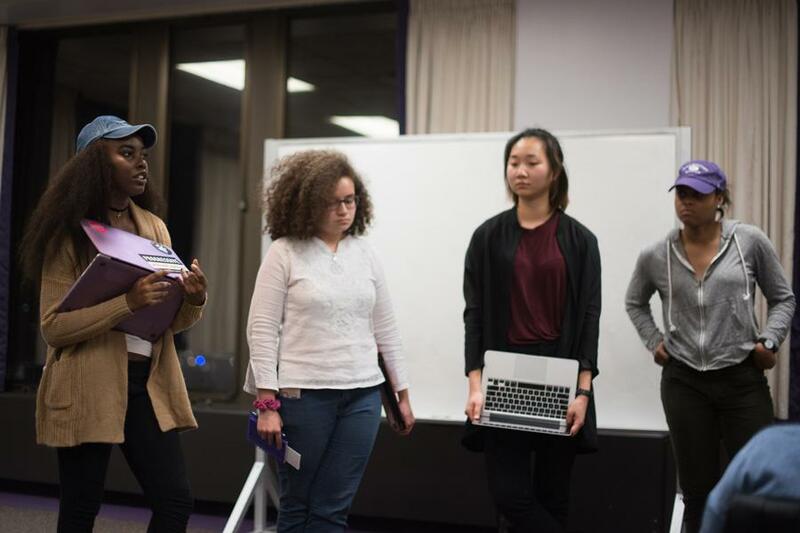 The legislation, which proposes to make Northwestern a sanctuary for undocumented students, was introduced Wednesday night. Associated Student Government Senate introduced legislation Wednesday asking for Northwestern to become a “sanctuary” campus. The legislation comes after a petition calling for the “sanctuary” designation collected more than 750 signatures from NU faculty, staff, alumni and students as of Monday evening. Chicago Mayor Rahm Emanuel declared Chicago a sanctuary city on Monday. Evanston Mayor Elizabeth Tisdahl called on City Council on Monday to reaffirm Evanston’s continued support to immigrants as well. In most cases, a sanctuary city is a place that does not alert federal authorities about individuals who violate immigration laws. ASG President Christina Cilento said she and Executive Vice President Macs Vinson will meet with vice president for student affairs Patricia Telles-Irvin on Thursday to discuss the possibility of NU becoming a sanctuary campus. The bill’s authors said it is unclear if there are any other U.S. campuses that have declared themselves sanctuary campuses. The legislation states other universities such as Harvard, Yale and Brown have also petitioned their administrations for sanctuary status. SESP sophomore Sky Patterson, who co-authored the bill, said the election of Donald Trump makes this bill necessary. The legislation also asks for NU to create a “resource center” to help undocumented students with financial aid, career services and other resources. Patterson said it’s important to affirm that undocumented students are welcome at NU. The bill also asks NU to make create a way for students to report “hate and bias incidents” regarding citizenship status. The legislation will be voted on next week. Senate also heard requests for additional A-Status funding for student groups. The Muslim-cultural Students Association asked for an additional $3,075, but after opposition from A-Status Finances vice president Eric Oringer, the motion lost. Senate later approved a $1,400 request by a 15-14 vote.